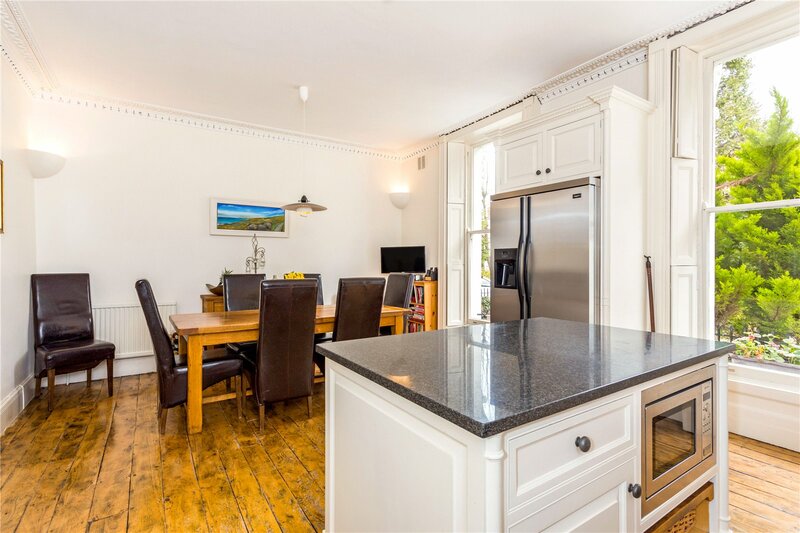 An elegant and substantial townhouse set in a glorious plot, within walking distance to town. Lawn House is a substantial and elegant Grade II Listed townhouse which occupies one of the most unique positions of any town centre property. The discreet setting allows for peace and privacy whilst still enjoying the elements of living within a stones throw of Cheltenhams beautiful centre. Typifying the elegance of its era, Lawn House is as appealing internally as it is externally with an abundance of period charm throughout. 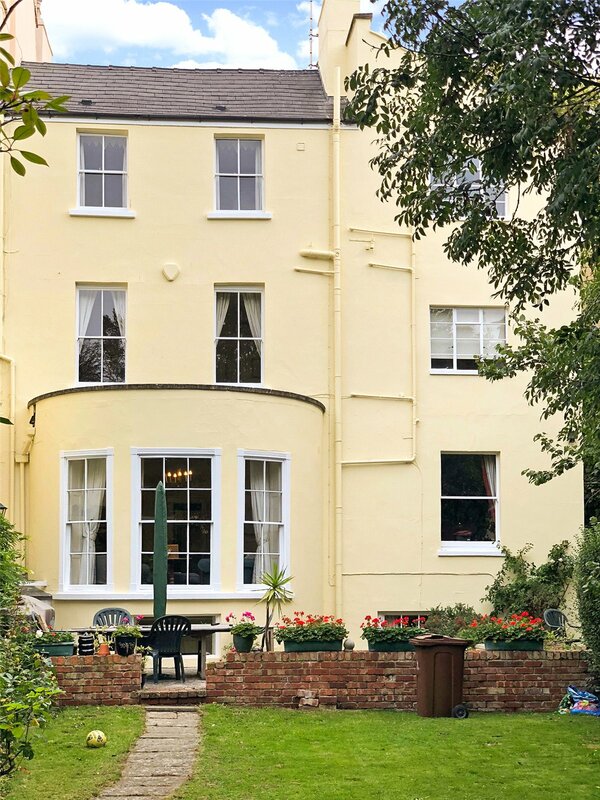 Prior to the conversion to a residential home, Lawn House was a B&B and as such the arrangement of the accommodation is well proportioned and substantial. With generous and splendid rooms, it is the most beautiful family home, yet the configuration would make for an ideal boutique B&B or, subject to the necessary planning, parts of the current accommodation could be redesigned to suit individual needs. 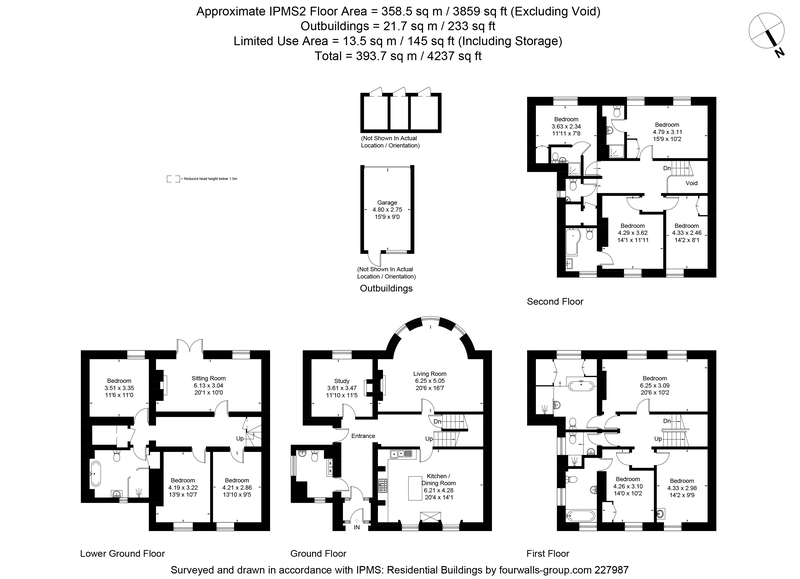 Laid out over four floors, the accommodation offers impressive proportions with practical spaces and a traditional floorplan. On entering the property there is an immediate sense of grandeur with all the reception rooms positioned on the ground floor. 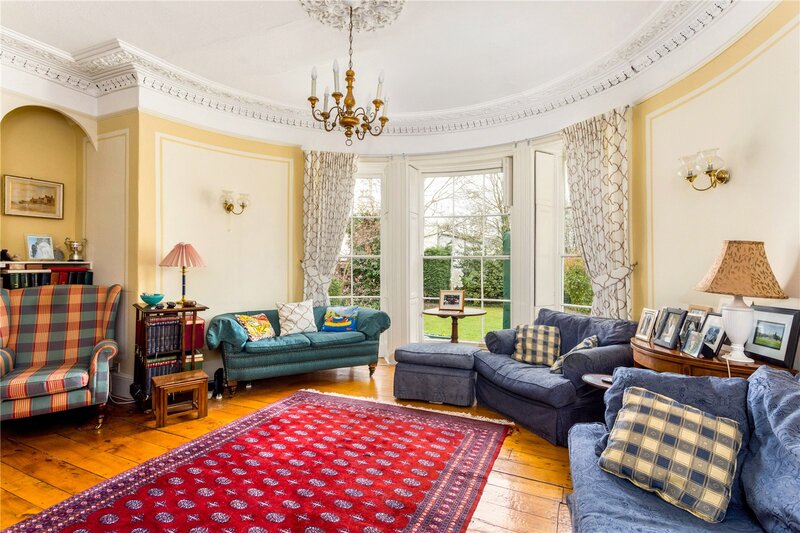 The drawing room, with a fireplace and ornate cornicing, is a splendid room with the most beautiful arched, bay window. 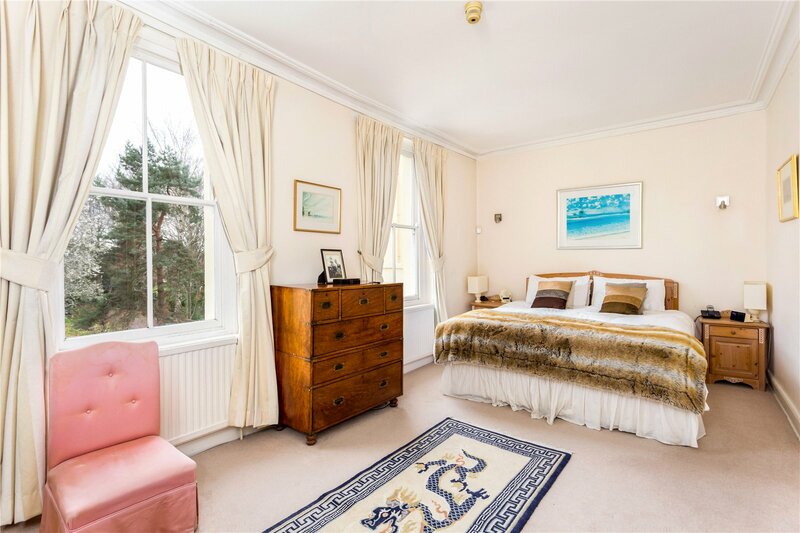 This room has an abundance of natural light, enjoying a triple aspect view of the gardens. 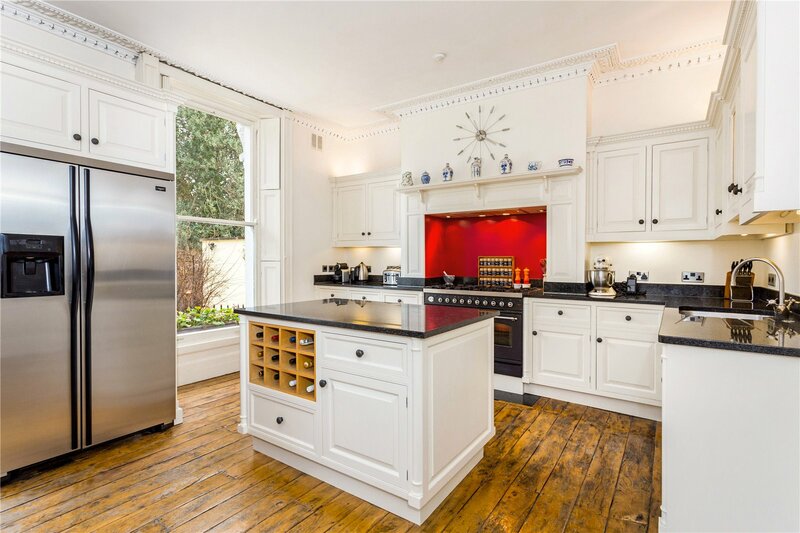 The bespoke kitchen by renowned cabinetry designer Woodchesters is situated to the front of the house with views through large sash windows. This is the hub of the house with a central island dividing the room to an area for a dining table. A boot room, WC and sperate study complete the accommodation. A staircase rises to the impressive bedroom space arranged over both the first and second floors. There are five bedrooms which all benefit from either en suite bathrooms or shower rooms. The remaining two bedrooms are served by a shower room and separate WC. Of worthy note is the master suite, an imposing room with a dressing area and en suite bathroom with claw foot bath and large walk in shower. Following the same footprint as the main house, the accommodation on the lower ground floor is an excellent extension to the main house. 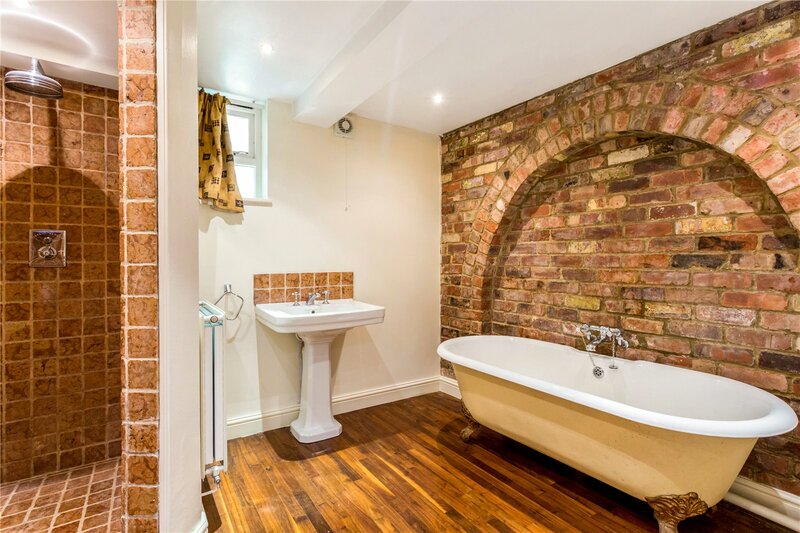 Currently utilised as three further bedrooms, a beautiful bathroom with a walk-in shower and a sitting room with double doors opening to the terrace and gardens beyond. 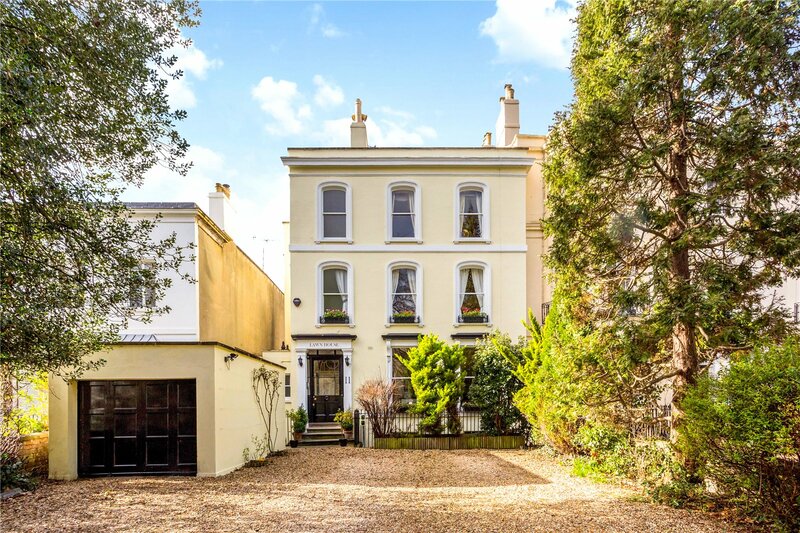 This could easily be reinstated, subject to the necessary planning, as an independent flat with two double bedrooms, a spacious sitting room, kitchen and bathroom with its own separate entrance from steps leading down from the front of the house. This would provide an ideal investment opportunity to generate a letting income or provide a separate studio or ancillary accommodation. Lawn House is a particularly beautiful and grand house fronted by a generous driveway leading to a garage and ample off-road parking shielding the house from the road. Mature trees and shrubbery create an immediate sense of privacy which continues to the gardens and space to the rear. 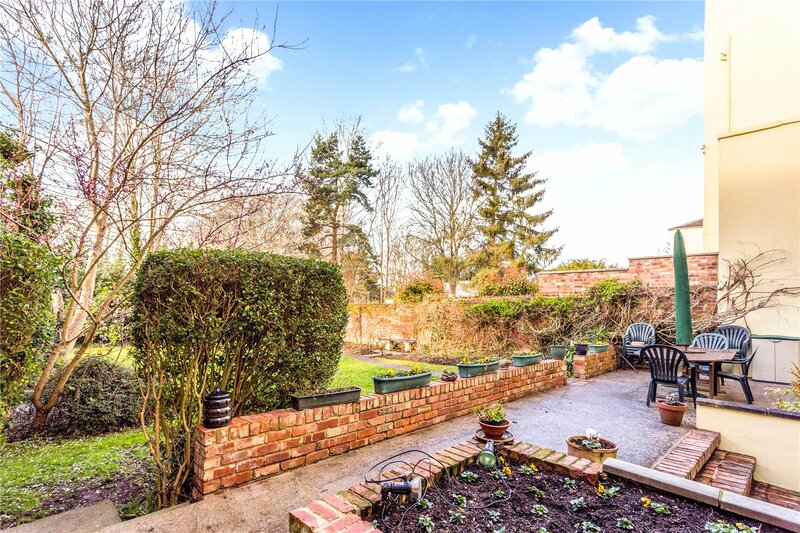 The rear garden is a particular feature, arranged in two parts, the grounds are unique for town living. The front part of the garden is generous and laid to lawn with high walling providing the framework. 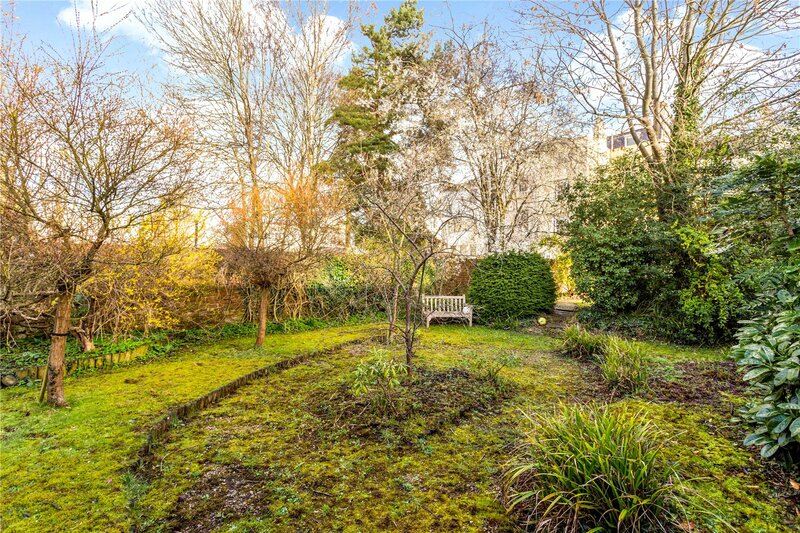 Beyond this is a small orchard with a variety of fruit trees and a further area of level lawn. 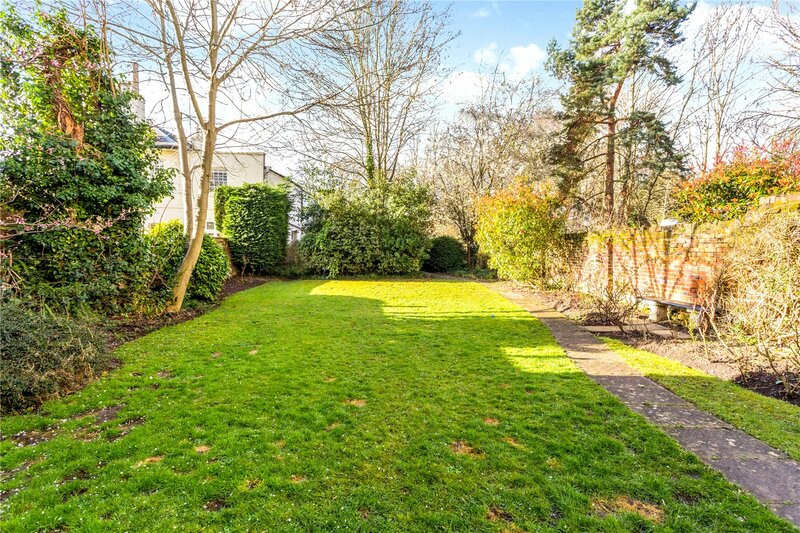 Much of the attraction of Lawn House is its position, set well back from the road forming part of a small, elegant parade within strolling distance to the town centre. Cheltenham is a fashionable and cultural town, playing host to several highly acclaimed festivals including, Music, Literature and Jazz. London Road is within a short stroll of the town centre, enjoying all Cheltenhams cosmopolitan offerings. 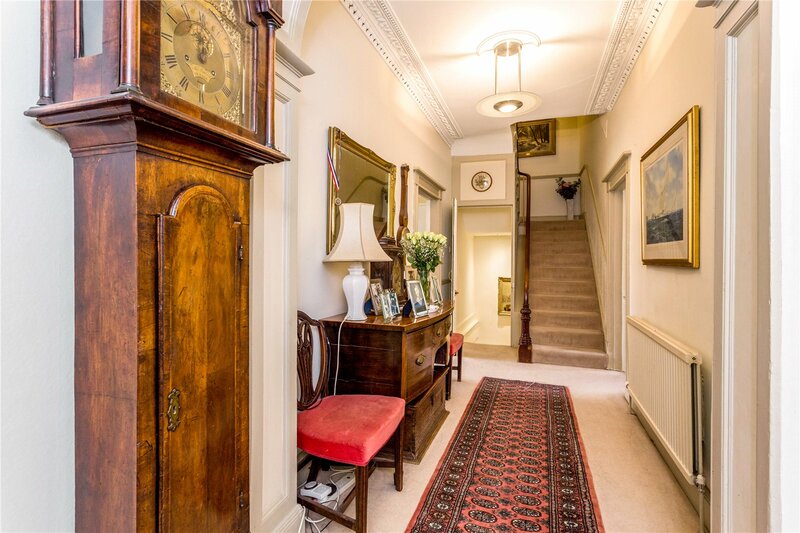 There are exceptional schools within walking distance including, The Cheltenham Ladies College, Cheltenham College, St Edwards and Dean Close. The state sector is also strong, with Balcarras and Charlton Kings Juniors within close proximity. Communications from this area are also excellent with easy access to a series of motorway links including A40 London Road and M5.